For color the blues and greens in this bar come from Mica and Ultramarine blue. 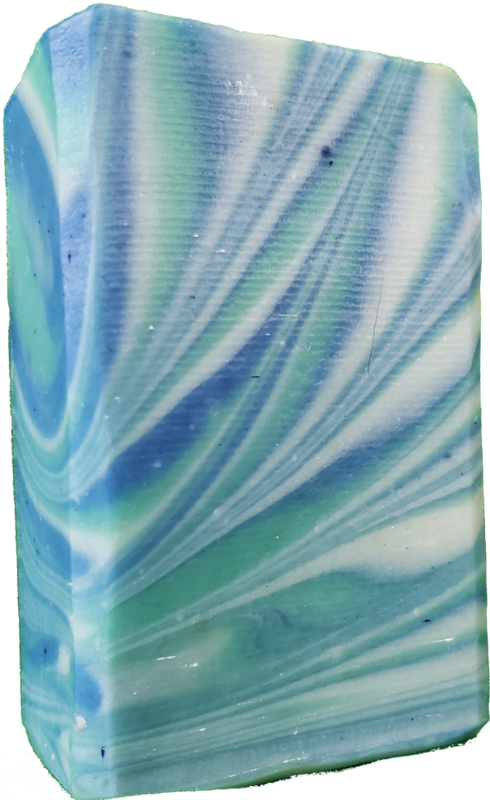 To top the bar off we add Tea Tree essential oils and finally a pinch of raw silk dissolved into the bar to smooth things out. The silk we use comes from hatched cocoons so no silkworms were harmed while procuring the silk.